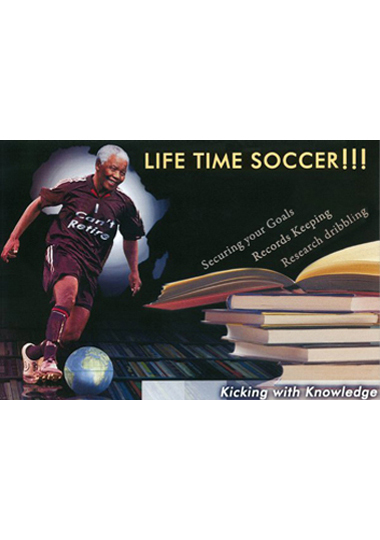 At the beginning of 2010 the Goethe Institut launched its “Libraries with a kick” poster competition – all in an effort to promote the use of libraries and reading, but tied in with the expected interest in the World Cup in South Africa. Over a 1000 entries were received from all over Africa, and finally the exhibition came to Accra, where it opened at the Goethe Institut in Accra on 8 July. Although the event started about an hour late, it was pretty short – with some good music from a local band, Big Shot. 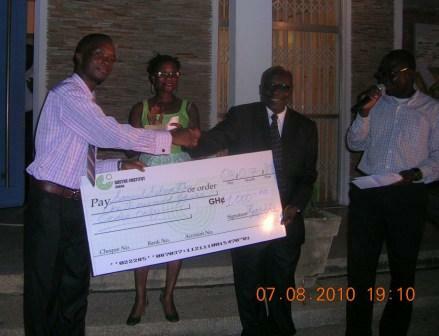 There were a couple of speeches, introduction of the three Ghanaian winners – all male interestingly – formal opening by the Vice-President of the Ghana Library Association, Albert Fynn, and a praise poem. All then looked at the winning posters, and formed the usual neat line for the ever popular “item 13” – refreshments! The posters range from fairly sophisticated images to what almost look children’s drawings, but in a way that is part of their charm. Do take a look at the online exhibition which is via the Goethe Institut link above.